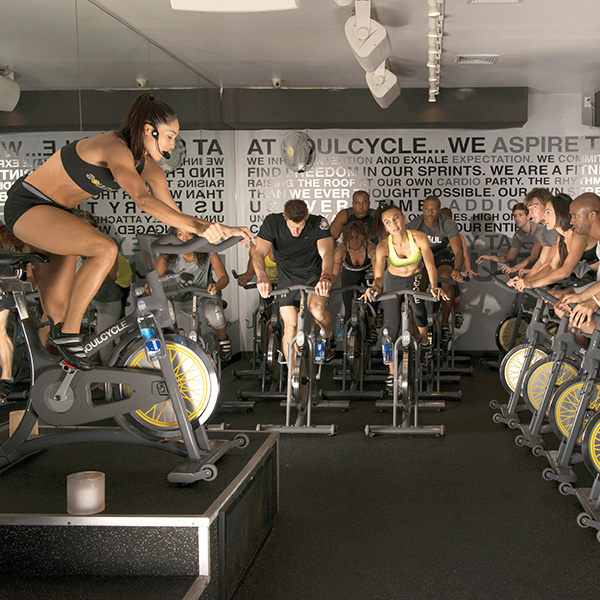 Fitness guru “Johnny G” Goldberg put Spinning on the map when he opened the first Spin Centre in Santa Monica in 1990. In subsequent decades, indoor cycling classes have proliferated around the globe, with cool new variations on the theme popping up every year. Two of the freshest incarnations in Santa Monica include SoulCycle, where you’ll get a full-body workout on a candlelit ride accompanied by high-energy tunes, and Cyclepathic Fitness, which offers a more urban vibe and also welcomes those with spinal cord injuries. Both locations offer a cardio workout to enhance your healthy lifestyle. Yoga-friendly Santa Monica offers an array of fresh twists on the ancient practice, including beach yoga, hot yoga at Hot 8 Yoga, hiphop yoga at YogaHop, and the acrobatic partner workout known as acroyoga. One of the fastest-growing yoga styles in the world, Naam Yoga is a blend of breath, sound, movement, and mudra therapy developed by Joseph Michael Levry, Ph.D., after decades of travel and research in the yogic arts and mystical sciences. Santa Monica’s 7,000-square-foot Naam Yoga L.A. offers more than 60 weekly classes, teacher trainings, and an array of healing treatments. “It is our feeling that Santa Monica will continue to be a city where people worldwide will come to be inspired and return home to strengthen their own communities,” says Gaustad. Way back in 1983, Naked Juice, that pioneer of premium juices and smoothies, was originally marketed towel-to-towel on Santa Monica’s beaches. American juice and smoothie bars now earn $2 billion a year, according to a 2015 report by market research firm IBISWorld. 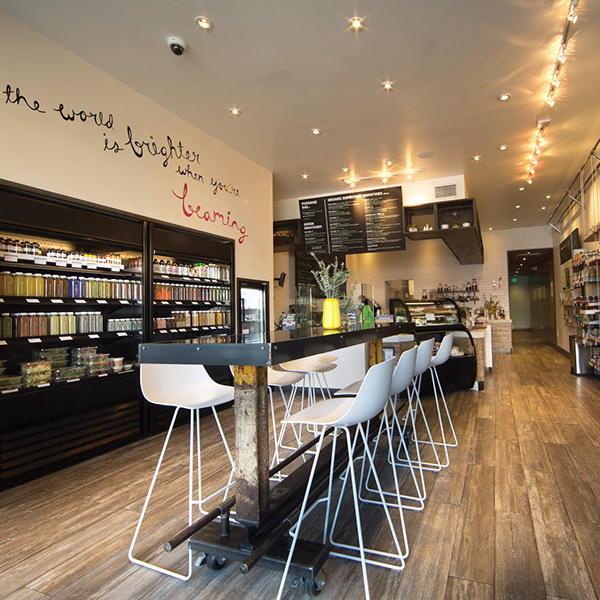 There are dozens of places to grab a healthy smoothie or juice in Santa Monica. A few providing for local juice fiends these days are Juice Crafters, Rejuice and Beaming for their fix of cold-pressed green juices and smoothies. In the 1920s, Santa Monica lifeguards adopted paddleboards as part of the lifesaving toolkit. The boards caught on with local beachgoers, and paddleboard races became a common sight in the waters near Santa Monica Pier. The surfing craze of the 1950s pushed paddleboarding aside until the early 2000s, when pro surfer Laird Hamilton popularized stand-up paddleboarding (SUP). “SUP is a really amazing workout,” says Christian Shubin, founder of Poseidon Paddle & Surf, which offers surfing and SUP lessons in Santa Monica and Malibu. “It’s challenging, but almost anyone can do it. For beginners, we’ll get them out on really wide, stable, easy boards. They might fall in a couple times, but once they get it, they’re up,” says Shubin. “It’s really serene and meditative, like yoga on the water. Experience even more of Santa Monica’s healthy lifestyle with these additional Health & Wellness activities.